Synopsis: A troubled reporter returns to her hometown when her mother is accused of murder. 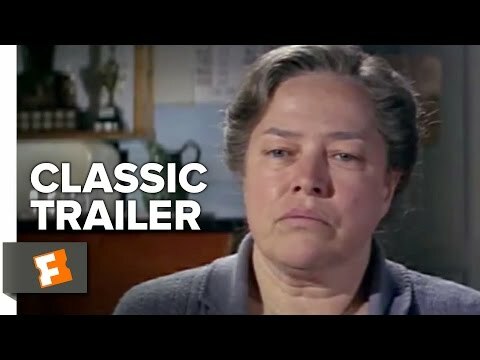 Kathy Bates (Midnight in Paris, Boychoir) is the title character, a working class mother of a driven – and clearly damaged – journalist daughter who returns to her home town after fifteen years when Dolores is accused of the murder of her wealthy long-term employer. Given that Dolores was found standing over her alleged victim with a rolling pin raised above her head, the future looks bleak for her. 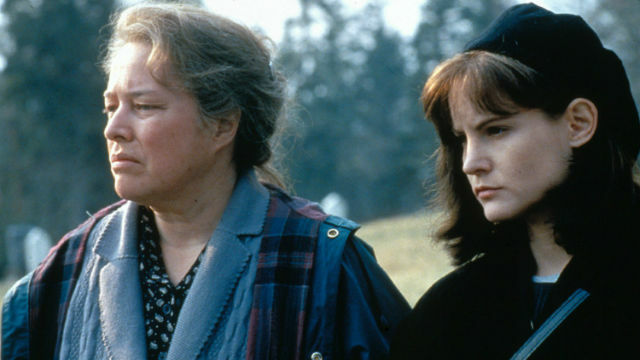 Based on one of Stephen King’s least typical novels, Dolores Claiborne is a leisurely paced study of the self-deceptions practiced by the mind in order to survive an unmentionable childhood trauma, and of how such self-delusion can push away well-meaning loved ones. In its way it’s every bit a horror story as King’s more typical output. Only this is the quiet horror of within, the type that can visit even the most ordinary of people. Bates is entirely believable as the no-nonsense mother who has become something of an outcast in her small Maine home-town since her alcoholic husband died after falling down a concealed well in their garden. Christopher Plummer’s (Danny Collins, Remember) tenacious detective was convinced of her guilt, but she proved to be the only case out of 86 that slipped through his fingers. Now, more than fifteen years later, his determination to put right what he believes to be an injustice blinds him to his own impartiality. Plummer’s performance is equal to Bates’, and it’s interesting how the story essentially paints those who have killed in a better light than those who seek to make them pay. Jennifer Jason Leigh (Morgan) is Dolores’ daughter, a highly-strung neurotic, dependent on pills and alcohol to get her through. Her performance is OK, but the character itself is slightly too annoying – even though her mental fragility is entirely understandable. Taylor Hackford is the director. He’s not generally recognised as one of Hollywood’s better directors, but he had a couple of sizable hits in the 1980s and 90s. He does a good job here, keeping a talky film visually stimulating, and emphasising the link between the present and the past by seamlessly introducing brightly coloured flashbacks that emphasise the relative innocence of both Dolores and her daughter when compared to the relentlessly grey palette of the present.